The Natural Park of Cap de Creus is one of the most recognized natural landscapes and important in Catalonia. The strong winds in the area that meets the tramuntana (strong winds from the north) have sculpted over the centuries one very special landscape that we will be discovering. 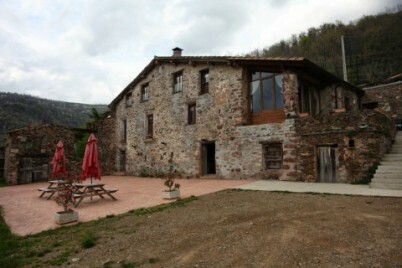 Located on the easternmost point of the Iberian Peninsula, in the region of Alt Empordà. 10.780ha has an extension of terrestrial and marine 3.064ha. The first demands for greater protection of the park are found in 1978 in a report by NCC, which contained the current park space. Partly as a need to curb the construction boom that was occurring in the Catalan coast and the need to stop the endangerment of spaces with a natural interest. By its extensions have been all kinds of peoples and civilizations, being area of the first settlements of hominids in Europe. Greeks and Romans also left their mark with their presence. The Greeks brought the cultivation of olive trees and vineyards, the Romans drove more urban development planning. The landscape of the Natural Park of Cap de Creus has the characteristics of the Mediterranean, consists mainly of wood species adapted to dry soils and high winds. The human presence has played a leading role shaping the current landscape of Cap de Creus, Greeks and Romans made popular olive cultivation adapting and changing the landscape. Special mention deserves the tramuntana, the strong wind from the north has forced all species whether animal or vegetable to suit its requirements. Being undoubtedly the main attraction of the area. We found a total of 17 listed habitats in the park. Highlights the rich Mediterranean annual grasslands, its importance has earned it a priority for protection. Despite the importance of Mediterranean meadows, the park's marine habitats are very rich and diverse. · Waves funds: in areas near the coast we find all kinds of small invertebrates and algae. · Lit funds: in areas above 30 meters deep and allows algae flourish in rockier funds. · Gloomy funds: includes depths from 30-50meters. The lack of light hinders the growth of algae, here in as far as fauna is concerned exclusively find coralline communities. On the other hand, is an area rich in wildlife species such as the sponge, coral or brown transiting these waters. · Deep funds: lack of any vegetation. Invertebrates like crabs or crayfish are found here. · Pelagic system: refers to those species that are not static in a marine environment, but move actively, such as jellyfish and small crustaceans. · Tramontana: the strong north winds that dry the air. · Vine abandoned: found many areas of the landscape that is formed by fields of crops for the vineyard but currently not being exploited. The trees despite not having a strong presence in the park, we find some forest pine and oak in drier environments. In more humid environments found the oak. The species that form most of the park's vegetation landscape, are especially the nursery, juniper and heather. In areas closer to the coast we find species that have adapted well to the strong demands of the wind, the saline character of the fruit of the ground near the sea. Among all species of Saxifrage Park highlights a unique species in the world and that only can be found here. Animal species that generate greater interest in the park are birds, its importance makes all lovers of birdwatching be stopped by. Some of the birds that we see are the Bonelli's eagle and the peregrine falcon, in rocky coastal areas. In marine areas gulls and shearwaters are the main species. Populations of amphibians and reptiles are very different, some of these species are Mediterranean turtle, common toad or tree frog. The marine diversity is also a sign of the wealth of the park's wildlife. For rural tourism in the Natural Park of Cap de Creus and visit with tranquility and time, we suggest you visit our list of accommodations in the province of Catalonia where is the park, see our cottages in Girona.